Although health care has been a major preoccupation of this blog, global health has come up only very occasionally. But that’s something we’ve wanted to change for a while. 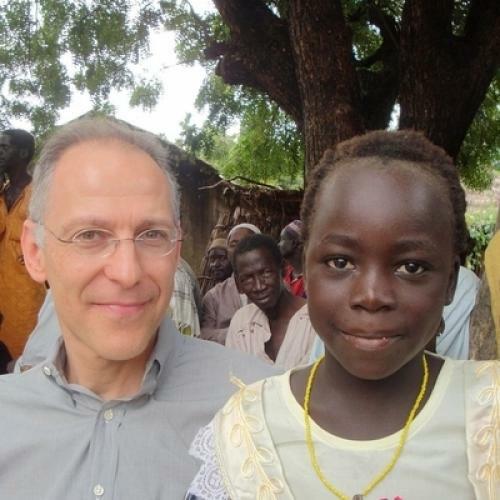 So, when Ezekiel Emanuel approached us, offering to write a diary while traveling through Africa, we accepted. Emanuel is a bioethicist and oncologist. He serves in the Office of Management and Budget, where he has helped shape President Obama’s policies on global health. He also happens to be an accomplished writer, having contributed articles to a wide range of publications over the years. In fact, once upon a time, he was an intern at The New Republic. Emanuel is back in the U.S. now. And, as he notes in the first of his entries, which you can read below, Obama’s policies on global health have their critics. Once Emanuel’s diaries are done, we’ll be publishing items from some of those critics. Our hope is to provide not just a diverse debate about Obama’s approach to global health, but also an introduction to a topic we hope will be a regular part of Citizen Cohn coverage going forward. Is funding for global health a never-ending waste of money in which billions are spent but nothing gets better? Or are we being selfish and grossly unethical, because we are unwilling to spend a few hundred dollars more per year in order to save a life of a poor person half way around the world? These are tough questions, particularly at a time when the economy is still recovering and our deficits are still historically large. That’s why I decided to go to Africa—to get a first-hand look at the Administration’s $63 billion Global Health Initiative and its impact. Over the course of two weeks, I am visiting Senegal, Ethiopia and Mozambique to see what is working and what is not working. And, thanks to the folks at TNR, I’m going to share my impressions with you. I am not traveling with a big entourage: It’s just me and a colleague from USAID. And I have insisted to our teams on the ground that I want to get out into the field—to see how our efforts are working with the smallest clinics, the most rural hospitals, and all of the places in between. The countries I am visiting—Senegal, Ethiopia, and Mozambique—have different histories and are in different parts of the continent. That makes for different challenges. Ethiopia, in East Africa, has nearly every major health challenge from HIV/AIDS, malaria, and TB, to more neglected tropical diseases and maternal and child health issues. But we also see a way forward, and, as such, Ethiopia has received about $440 million in U.S. health assistance under the Global Health Initiative. It’s also been designated as one of the “plus” countries. That means it will get extra funds and substantial technical assistance, in order to rapidly implement a new approach to global health that focuses more on women and children’s health, while better integrating existing base health programs and focusing them on sustainable development of Ethiopia’s health system. Mozambique, in Southern Africa, has the same range of health problems. It has received $360 million per year in health assistance in recent years. And Senegal, where I am now, receives about $50 million in U.S. health assistance. Here, HIV/AIDS is a relatively minor problem: Less than 1 percent of the population is infected. But malaria is widespread. Maternal and child health, plus family planning, remain major needs here. o To reduce mortality among children younger than five by more than a third. That would save 3 million lives. o To double the number of babies born free of HIV. o To support the prevention of more than 12 million new HIV infections; provide direct support for more than 4 million people on treatment; and support care for more than 12 million people including 5 million children and orphans. o To reduce the number of malaria cases by 50 percent for 450 million people. o To reduce the prevalence of tuberculosis by 50 percent. That should save 1.3 million lives. o To reduce maternal mortality by 30 percent. o To improve reproductive health and child nutrition. o And to reduce the prevalence of seven neglected tropical diseases by half among the 70 percent of the world’s population most at risk for them. That includes eliminating altogether three diseases, among them leprosy. As I alluded to above, there are some who do not agree with this approach. They say the GHI takes away from our efforts to combat HIV/AIDS. But the same people at high risk of HIV/AIDS are vulnerable to malaria, TB, and all the other diseases that plague the developing world. A comprehensive approach to global health should deal with all of these diseases, particularly when many of those diseases can be prevented, treated, or even eradicated at very low cost with a maximum impact for our security. So that’s our approach to health. But how does it actually play out on the ground? During my travels, I hope to find out.